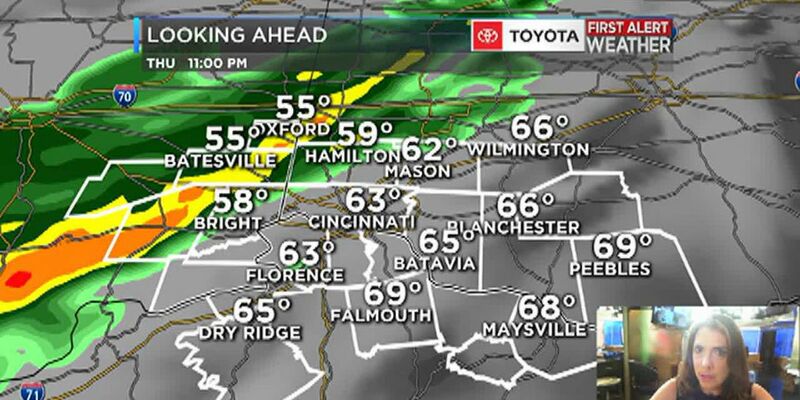 CINCINNATI, OH (FOX19) - Tuesday’s sunshine will be with Tri-State residents again Wednesday and fade under increasing cloudiness Thursday. Many areas made it into the low 60s Tuesday. Wednesday will be cooler. With a clear sky and low humidity, Tuesday night will be cold once again with some frost around the FOX19 viewing area. The next rain arrives Friday and it looks like it will be in the form of scattered showers. Saturday, Sunday and Monday will each have some shower activity. Cool to chilly mornings will continue into next week along with cool afternoons. Next Wednesday and Thursday -- probably Friday too -- high temperatures will be back in the low 60s. Steve Horstmeyer is a veteran Cincinnati Meteorologist. The Moeller High school grad began his career 30 years ago as a mathematics teacher for Cincinnati Public Schools. It wasn't long before he moved to television where he was a meteorologist and reporter. Horstmeyer is a Cincinnati native.